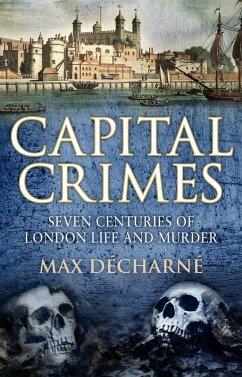 Over seven centuries London has changed dramatically - from walled medieval settlement to bustling modern metropolis. But throughout its history there has been one inescapable constant: murder. It winds through the heart of the capital as surely as the River Thames. Capital Crimes tells the story of crime and punishment in the city, ­from the killing of infamous 'questmonger' Roger Legett during the Peasants' Revolt of 1381 through to the hanging of Styllou Christofi in 1954. Along the way we encounter such shocking characters as railway murderer Franz Muller, the ‘baby farmers’ of Finchley and the notorious political assassin John Bellingham. 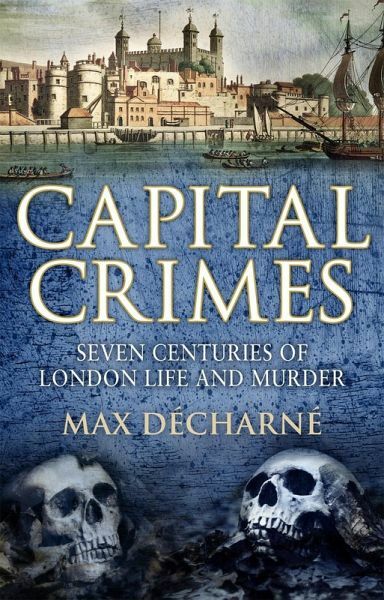 Some are well known, some obscure; the lives and fates of all, however, have much to tell us, providing a glimpse into the workings of London’s mysterious underworld and reminding us that dark deeds are not so far removed from everyday life as we would perhaps like to believe. Max Décharné is a writer and musician. He is the author of seven previous books, including King's Road, Hardboiled Hollywood, Straight from the Fridge, Dad and A Rocket in my Pocket. He has been a regular contributor to Mojo magazine since 1998, and also writes for a variety of other publications. In his music career, he has released eleven albums and numerous singles since 1991. He lives in London. "A fascinating, sideways view of London’s real underground"